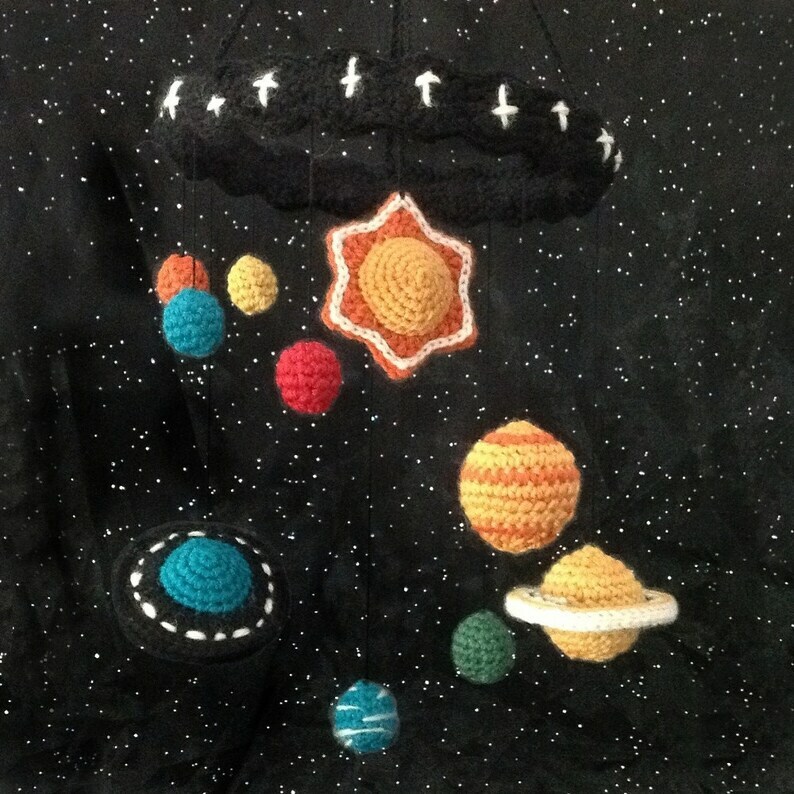 Contemplate the universe in a ball of yarn! Finished mobile is about 6 1/2 inches across the main ring and about 10 inches from the top of the main ring to the lowest planet. This pattern is written in English and all needle sizes, abbreviations, etc. are American. Contains 18 fully-illustrated pages with large, easy-to-read text and lots of photos, diagrams and charts to accompany the written instructions. A download link for the pattern PDF file will be made available to you within 24 hours of receiving payment. File size is about 5.6 MB. Please make sure that the email address that you have listed with your Etsy account is accurate to ensure that your pattern arrives promptly. Looks easy to follow. Super cute pattern I can't wait to get started on! Pretty easy to follow the pattern. The mobile is adorable. I made 2 of them for my grandkids room. Exactly what I was looking for! Will make a pretty Garland!